FDA Ratchets Down On Prescribing Of OxyContin And Other Opioids : Shots - Health News In the latest attempt to stem an epidemic of opioid painkiller overdoses, the FDA tightened prescribing guidelines. The drugs should only be used for patients with severe pain when other treatments have failed, the agency says, not for moderate pain. 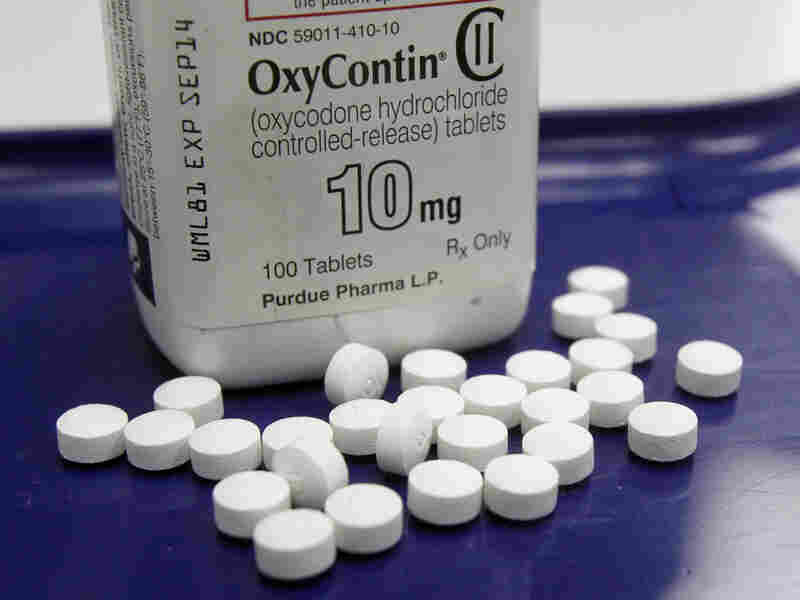 The Food and Drug Administration today took another step toward restricting use of OxyContin and other powerful and often-abused prescription pain medications. The move comes amid an emotional debate over so-called long-acting opioid analgesics. Federal health officials and others are concerned about the rising number of Americans who are getting addicted to the drugs and overdosing on them. Pain specialists and their patients, however, fear that restrictions risk making it too hard for patients who need the drugs to get them. In announcing the new requirements, Hamburg told reporters that the agency is trying to balance the dangers of abuse with the needs of patients. "The FDA is invoking its authority to require safety labeling changes and post-market studies to combat the crisis of misuse, abuse, addiction, overdose and death from these potent drugs that have harmed too many patients and devastated too many families and communities," FDA Commissioner Margaret A. Hamburg said in a statement. "Today's action demonstrates the FDA's resolve to reduce the serious risks of long-acting and extended release opioids while still seeking to preserve appropriate access for those patients who rely on these medications to manage their pain," Hamburg said. Among the changes is a warning to doctors that the drugs should only be prescribed for "pain severe enough to require daily, around-the-clock, long-term" treatment, Hamburg said. Currently, the drugs are recommended for patients with "moderate to severe" pain. In addition, under the new guidelines the drugs should be "reserved" for patients "for whom alternative treatment options are ineffective, not tolerated or would be otherwise inadequate to provide sufficient management of pain," Hamburg said. At the same time, the agency is requiring a new label directed at pregnant women. The prominent "boxed" warning labels will warn that chronic use of the drugs by pregnant women can cause a life-threatening complication in their babies known as neonatal opioid withdrawal syndrome. Newborns go through withdrawal because they are no longer exposed to an addictive drug. The agency also is demanding that companies that make the drugs conduct more studies to assess the risks associated with using the drugs, including addiction, abuse and fatal overdoses.